An article in FLYING magazine authored by Pia Bergqvist reports on ViaSat's seamless, high-speed streaming and large data plans for bizjet in-flight connectivity. She writes that ViaSat will soon launch their ViaSat-2 service, which will allow large cabin bizjets to provide even higher connection speeds to users in flight. The service is an upgrade to ViaSat’s already capable system, which provides Ku- and Ka-band satellite coverage. 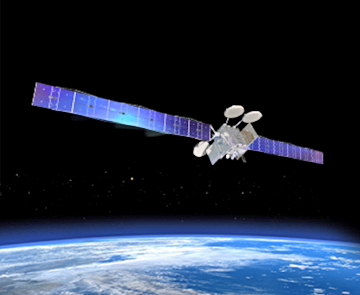 The Boeing manufactured ViaSat-2 satellite was launched on June 1 by Arianespace via an Ariane 5 ECA launcher from the Guiana Space Center in Kourou, French Guiana. 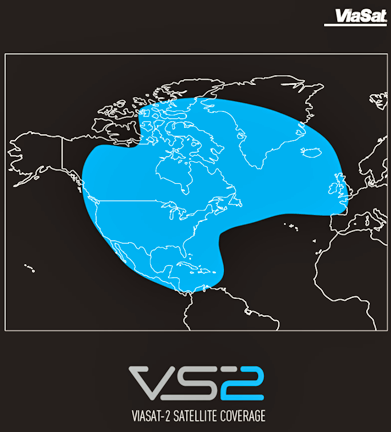 ViaSat anticipates that their service will be available early next year, with ViaSat-2 being resident in the assigned orbital slot by November of this year. Then, it's satellite testing and syncing with the ground network. Coverage will blanket the lower 48 states of the U.S. as well as Canada, Mexico, Caribbean, Central America and the northern tip of South America. The company has been demonstrating their capabilities at the company's booth at the NBAA Business Aviation Convention and Expo in Las Vegas, Nevada. Visitors were able to video chat with an employee at the company’s home base in Carlsbad, California, showcasing the high-speed videoconferencing capabilities of the system. In addition to videoconferencing, users can expect similar connection speeds as in the office or home, allowing for uses such as TV, music and movie streaming; VPN connectivity; web browsing; and the ability to send large files via email.